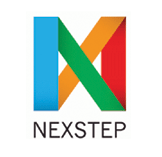 Company Name: Nexstep Infotech pvt ltd.
1.VB Prefered Or else VB.Net or any other Technical Language (java/.net/etc). Plz read about the JobTitle before coming for Interview process. Only genuinely interested should come . Nexstep Infotech is a Software Products Company into Expense Management Solutions. We are an entrepreneural company – agile and responsive. Geared to supporting our customers completely and unequivocally. We are focussed in the area of expense management, with an interesting range of solutions for you. We are an international company, with presence in many countries. Yet, localised for your needs. We are an award winning company, having won accolades like “The Best ISV Award” from IBM, and so on. We’re also listed in the IBM Global Solutions Directory.